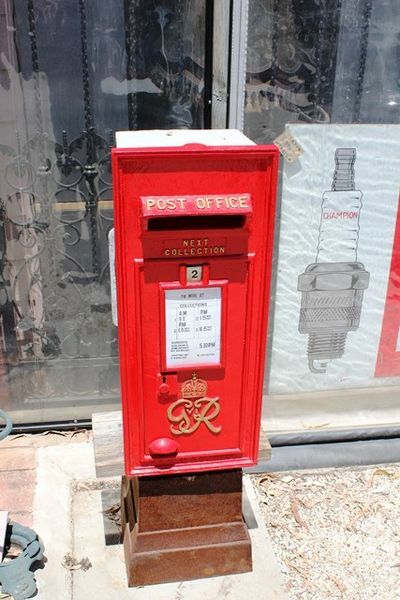 Genuine Antique British Post Box. Genuine Antique Cast Iron British Post Box. This is the larger wall inserted model. With Key. 86cm high x 35cm wide x 35cm deep.